Home > Categories > Home Improvement > A Dependable Home Repair & Construction Service, Inc.
A Dependable Home Repair & Construction Service, Inc. provides clients in Charlotte and the surrounding region with top quality work and personalized service for all your remodel needs. We are a full service general contractor who can turn your house into “your home”. After all, a house is one of the biggest investments you make in life and it should reflect your style and personality. Michael Summers is the president and owner of A Dependable in Charlotte and has over 25 years of experience in the remodeling industry. We have all the necessary licensing and qualification requirements to take on your remodel project. We are a member of the Charlotte chapter of NARI, the National Association of the Remodeling Industry, where contractors are held to a strict professional and ethical standard. We are also a longtime member of the Better Business Bureau and one of the few contractors in the Charlotte area with an A+ rating. 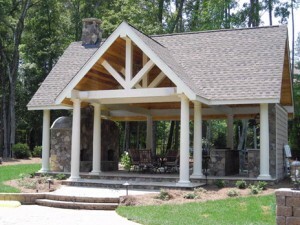 We have General Contractor’s licenses in both NC and SC. Michael believes in doing every job the best that it can be done. He oversees the jobs and allows no project to be finished without his stamp of approval. Since he founded it more than a decade ago, Michael’s company has earned a reputation for quality workmanship and prompt professionalism. We provide unparalleled service for your small or large remodel, within a nice, neat working environment. Since a lot of our work is based on recommendations, we strive harder to complete your project on-time and on-budget. Design/build or remodeling projects can include anything from a bathroom remodel, kitchen remodel or room addition to an exterior remodel, a whole house renovation, or outdoor living space. Our full service remodeling includes designs; cabinets; counter tops; tile work; stone work; masonry; siding; doors; windows; framing; sheetrock; painting; flooring (hardwoods, carpet, etc. ); electrical; plumbing; and HVAC — we can provide it all. We provide complete services for any size remodel project from start to finish. We offer consultations with a professional designer to help show your visions, wants and needs with drawings. We put those same visions, wants and needs, blended with the realities of the field, into our written proposals and show you the process of the project, along with a realistic budget for the project. Our designers can then offer the engineered plans needed to take the next step in your “home” project. We take care of all the permitting, inspections, sub-contractor bids, even HOA applications for your project. We are there with guidance and support during each step of the job to help create the space you want and/or need. We check to make sure you are satisfied at each step of the finish work and we don’t count any project as complete until the work we promise to complete is done to your satisfaction.